If you’re planning to go out in Salamanca, an essential word to add to your Spanish vocabulary is pijo. It means “posh” and is frequently used to describe the clubs and eateries in this upscale Madrid neighbourhood. This is the area of Madrid where footballers, celebrities and basically, the “upper class” live and socialize! Barrio Salamanca is located between Paseo de la Castellana and the M-30 highway. Its most notable streets (for shopping & cuisine) are Calle Serrano, Calle Velasquez, Calle Principe de Vergara and Calle de Alcala. This is the area you go to if you’re in the mood to dress your best and enjoy the finer things in life. A night out in Salamanca might mean taking a hit to the wallet, but it’s more than worth the price. If you want to grab a snack to fortify yourself for the night to come, Salamanca is replete with cute tapas bars and trendy restaurants. Jurucha (C/Ayala 19) has been owned by the same family for more than 50 years and boasts a menu with more than 60 tapas that are constantly rotating depending on the season and what’s fresh that day. 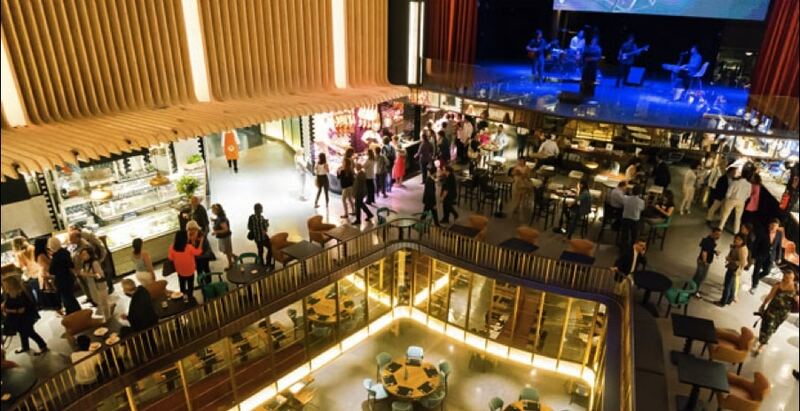 If you’re up for something a little fancier, Platea (C/Goya 5-7) is an old movie theater that’s been converted into a massive gourmet food hall. Open until 2:30am Thursday through Saturday, it’s a picturesque spot to grab a drink and a snack. You’re not limited to tapas either – the many food stalls offer anything from Peruvian to Japanese cuisine. Salamanca has no shortage of clubs, either. If you’re ready to get serious about “killing the night,” as Hemingway called it, El Callejón de Serrano (C/Serrano 63) is a good place to start. Nestled in a quiet corner off of Paseo de la Castellana, Callejón de Serrano is a cocktail bar with live music until midnight and dancing til 3am. As anyone living here knows, when the bar closes the night has just begun. 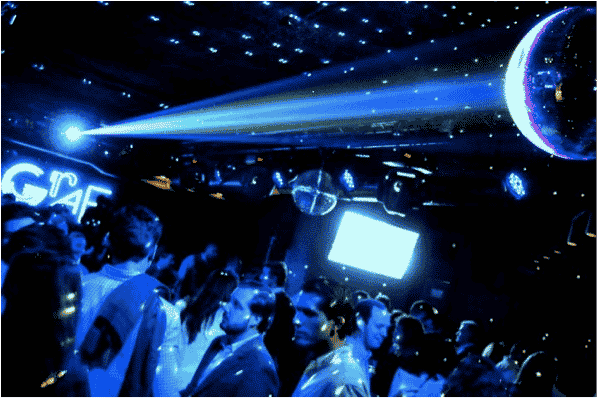 Gabana (C/Velazquez 6) and Graf (C/María de Molina 50) are two popular late-night clubs that blast everything from the latest reggaetón to Bon Jovi’s It’s My Life (often the last song of the night). One important detail about a lot of Salamanca clubs is that many of them have age restrictions – e.g. Graf is 23+. If you’ve been meaning to go out in Salamanca but haven’t gotten around to it yet, you’re in luck – Citylife Madrid has a pubcrawl every weekend with rotating locations and one of the tours takes place in Salamanca!